But that's not what it's known for. 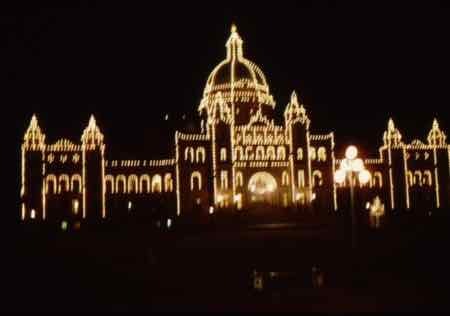 Mostly it's known for its picturesque inner harbor with the Empress Hotel at its head. It seems friendly and inviting... and very "doable". The hotel is called Empress, as in Victoria, Queen and Empress. 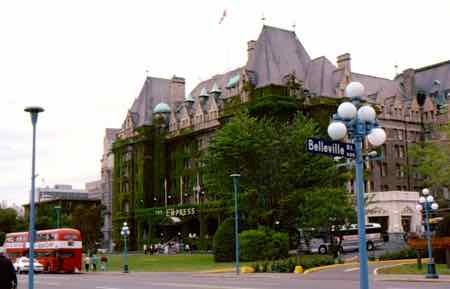 The grand old ivy-covered Empress Hotel is the city's most photographed attraction. It graces almost every tourist brochure you will see. You really must stop for a proper English afternoon tea. The Empress does this tradition up right serving fancy cakes and sandwiches and, of course, scones and cream. Reservations are required. You might be able to make them when you arrive, but make them ahead if you don't want to be disappointed. Along the edges of the inner harbor are some of the grandest heritage buildings in the city. Off to the left as you face the Empress Hotel, you can see the Legislative Building of British Columbia. Take some time to visit and see its murals and stained glass. And the effect continues into the night when the building is illuminated by over three thousand lights. Few are even over seven stories tall. I guess that's part of the charm of the city. The scale seems so manageable. 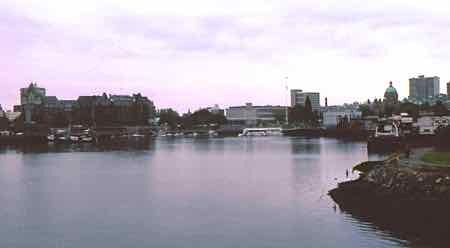 The Inner Harbor is the lively center of the city. It bustles with seaplanes, ferries, yachts... even kayaks and rowing boats. During the summer, hanging flower baskets spruce up the lamp posts, and you're sure to see "outdoor entertainers" trying to catch your eye. Explore the city streets that branch off from the head of the Inner Harbor. The city is easy to explore on foot. There is great shopping in lots of unique shops. See Old Towne, Chinatown, and Fisherman's Wharf. There are double-decker buses reminiscent of London to help you get around. Take a horse drawn carriage ride around the harbor, through Beacon Hill Park and past historic homes and landmark buildings. Explore the First Nations culture. The city has lots of galleries with art made by members of the First Nation whose art and traditions are alive and well. Make time for a visit to the famous Butchart Gardens. 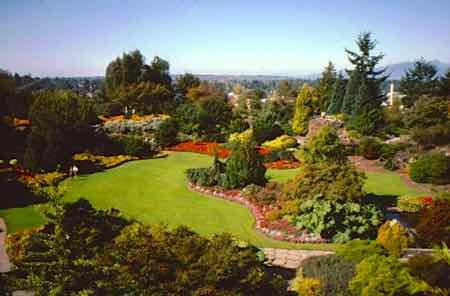 Victoria BC has the mildest climate in Canada, so gardens bloom year-round. ...or try a kayak or canoe on the inner harbor or beyond. There are great golf courses, and that mild climate that keeps gardens blooming let's you golf year around too. Tour companies can take you out fishing or whale watching. 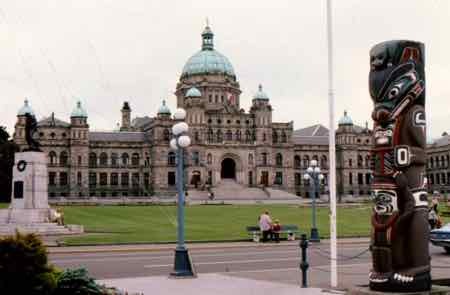 Explore Victoria BC, but remember, there is the whole Vancouver Island to explore.